which is made up of animated time maps, camera motions through virtual space and a narrative delivered by a presenter. In UK outreach events I used to run teaching geography, this was the ‘map’ that people said they looked at most often. ATs encourage users to watch: A great example of how useful ATs are is from National Geographic who produced this site about tracking the illegal trade in ivory across Africa . 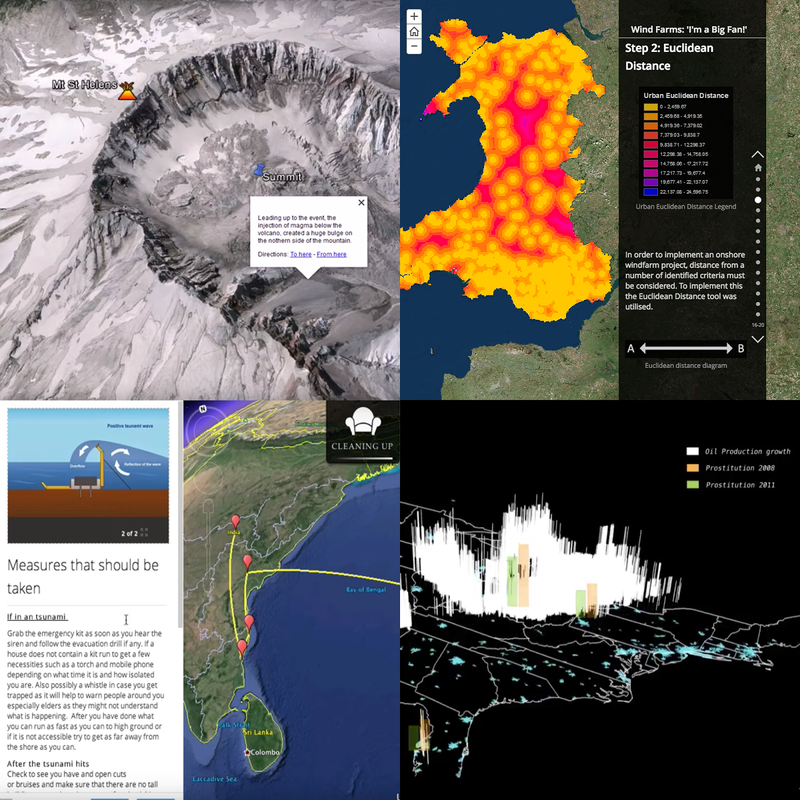 The web logs of this resource show that atlas tours encourage people to engage more with content than other non-narrative, interactive maps (Kaitlin Yarnall Presentation at 18.40 minutes). The Mt St Helens 1980 eruption - one of my students! One of the papers promotes ATs as a good assignment to set students, watch this space for more!